Our Blueberry Jacket is crafted from ‘British Millerain’ wax coated cotton, milled in Yorkshire. This showerproof jacket has been designed with a slightly cropped, box fit, oversized hood and wide sleeves. 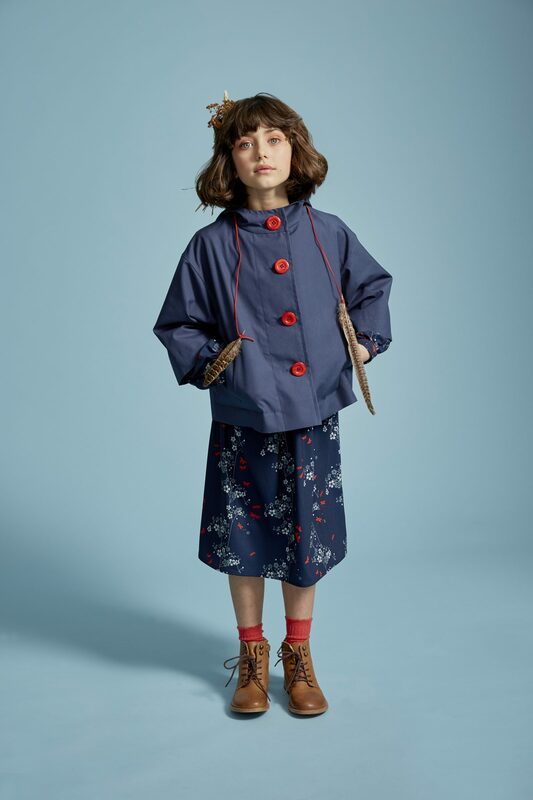 The coat is completely lined in our super soft red organic jersey, giving added warmth and softness when worn. The bold red buttons and contrast lining make this a truly beautiful and practical piece.